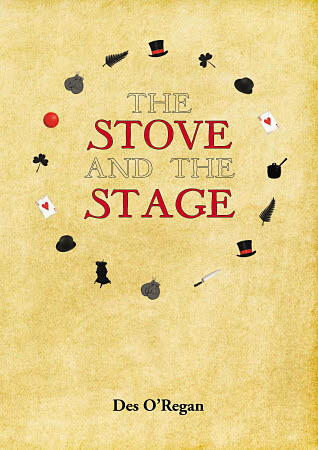 The Stove and the stage is the tale of Danny Mulligan who arrives in Constant Bay, Charleston in the early 1870s. But Danny doesn’t arrive for the gold; Danny is an entertainer, and seemingly escaping a shady past in Ireland. He is the narrator of the story and writes in a rollicking style and at pace. His story includes the Fenian Riot at Addison’s Flat, the arduous life of the miners and those establishing towns to support them, the difficulties of travelling around the area at the time (he moves to Reefton where much of the story is set), and the extremes of weather and natural disasters. It is not sophisticated writing – but Danny isn’t a sophisticated bloke, and is well drawn enough that I knew I wouldn’t like to have him around to dinner! The book is full of characters, incidents and is rich in detail, it even has a bit of romance. A light read with a lot of heart. I’ve just finished this, and I wouldn’t at all mind having Danny round to dinner – he seemed a very warm, compassionate man. Not sophisticated but an Irishman of his times. My criticism of the book has nothing to do with the characterisation or the characters or the events, and I found the story quite original, but the editing was very typical of a self-published book with typos not corrected and a poor use of commas, (though not apostrophes). I did live on the West Coast for over twenty years, so I had that as an interest, and I like history, especially NZ history, so that appealed to me.